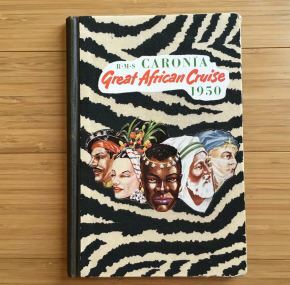 Impressive hardback brochure for Caronia’s Great African Cruise of 1950. 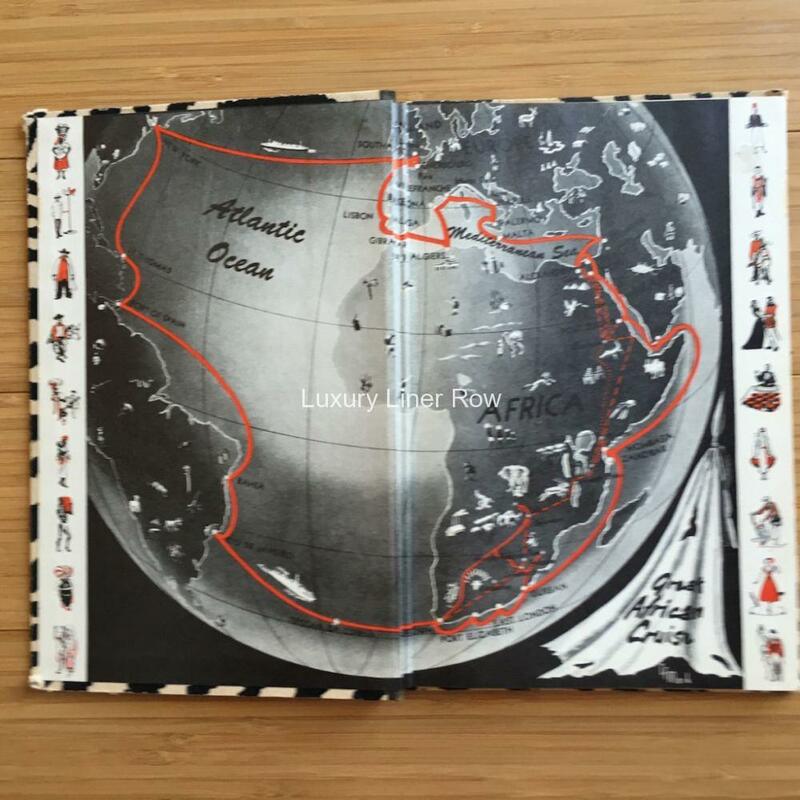 This stunning voyage was an impressive undertaking. It was also a one off in the life of a ship designed to carry on Cunard’s mantel as king of the world cruise. I believe this one epic voyage was undertaken since conditions in 1949, when planning began for this trip, were such that wartime damage to ports meant a world cruise still could not be successfully accomplished. 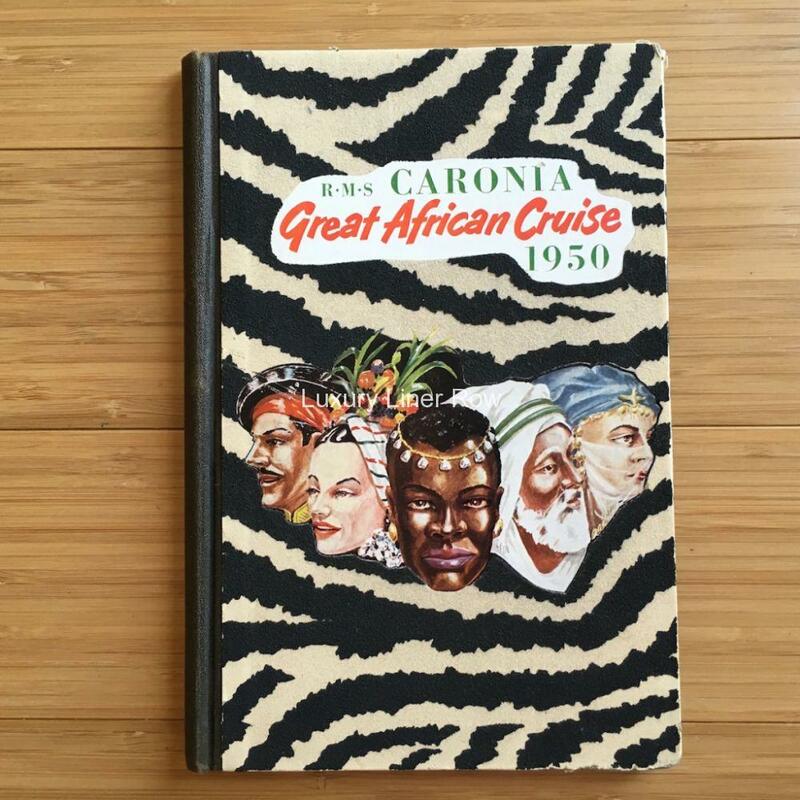 In good condition, coming to us from the collection of Ron T. Johnson, Cunard’s New York manger.